Green stem is a disorder of soybean in which stems remain green and moist well past the point when pods and seeds are fully ripe and dry. Green stem disorder been observed for years, but has increased dramatically in recent years. 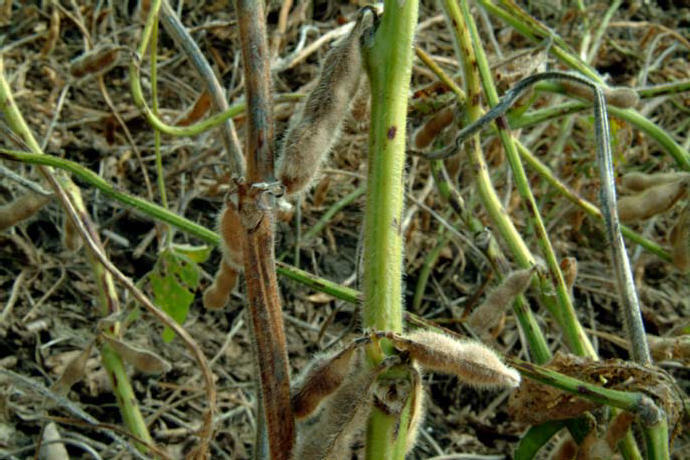 Green stem disorder complicates harvesting of soybeans by significantly increasing the difficulty in cutting the affected plants during harvest. There is also the potential for moisture in the stems to be transferred to the seed, reducing the grade and storability of the seed. The search for what causes green stem is still ongoing. 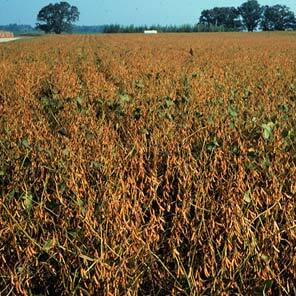 Common soybean viruses, including Bean pod mottle virus, have been considered one possible cause. However, a series of research studies addressing the role of Bean pod mottle virus (BPMV) in green stem concluded that green stem is not consistently associated with BPMV infection (see Hobbs et al Green Stem Disorder of Soybean). It may be possible that other viruses are involved. Stinkbug feeding is known to cause a disorder called "green bean syndrome" in the southern U.S., in which the maturity of the entire soybean plant is delayed. However, feeding by bean leaf beetles, leaf hoppers, or stinkbugs has not been linked to green stem incidence. Although the cause of the green stem disorder is not yet known, there are consistent and significant differences among varieties in their sensitivity to green stem disorder. At harvest, scout for plants that have retained green, moist, nonsenescent leaves, petioles or stems, while the pods and seeds are mature, brown and dry.. Be sure to inspect plants before the first killing frost. There are other reasons for delayed maturity in soybeans that can be confused with green stem disorder. The main difference between delayed maturity and green stem disorder is that the maturity of the whole plant is delayed, including the pods and seeds, rather than just stem tissue. Plants with these other delayed maturity problems are encountered much less frequently than plants with green stem disorder symptoms. 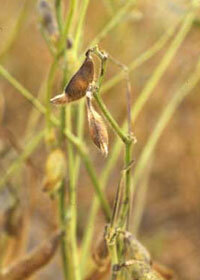 The main diagnostic feature of green stem disorder is the presence of mature pods and seeds on moist, immature stems. This feature distinguishes green stem disorder from general delayed maturity and other reasons for plants remaining green at harvest time. Sometimes leaves or petioles may remain attached to plants with green stem disorder symptoms. The number of pods and seeds are not affected by the disorder. Only normal maturation of stem tissue appears to be affected. Plants affected with the disorder may be scattered or occur in patches or even large areas in the field. 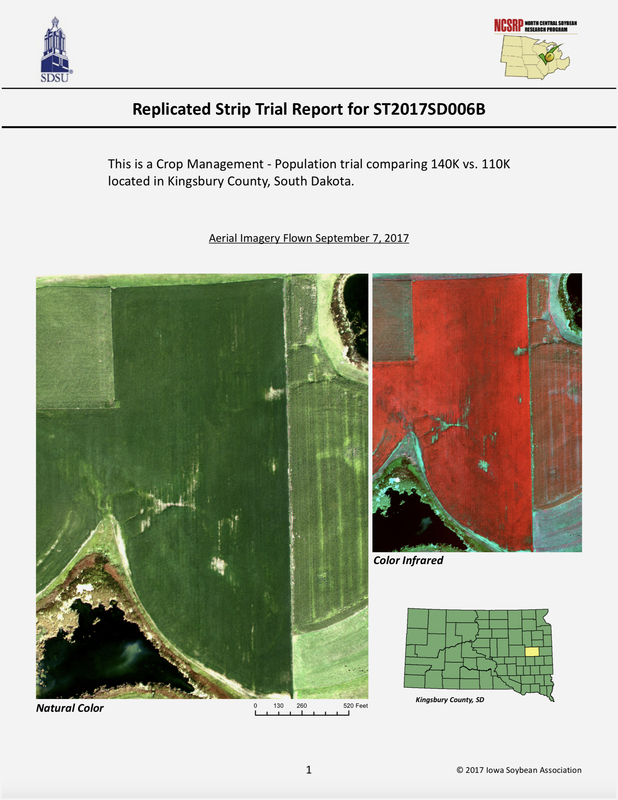 Recent reports indicate that green stem is becoming more common in Midwest soybean fields and incidence within fields is increasing, often affecting entire fields. Determining the cause and management of green stem disorder is an active area of research in the North Central region. Choosing a less sensitive soybean variety is currently the most effective way to reduce the risk of green stem. Until the cause or causes of green stem disorder is known, no specific control recommendations can be suggested. However, there are consistent differences in the tendency of specific cultivars to develop green stem, which allows growers to choose cultivars that are less likely to develop the disorder. 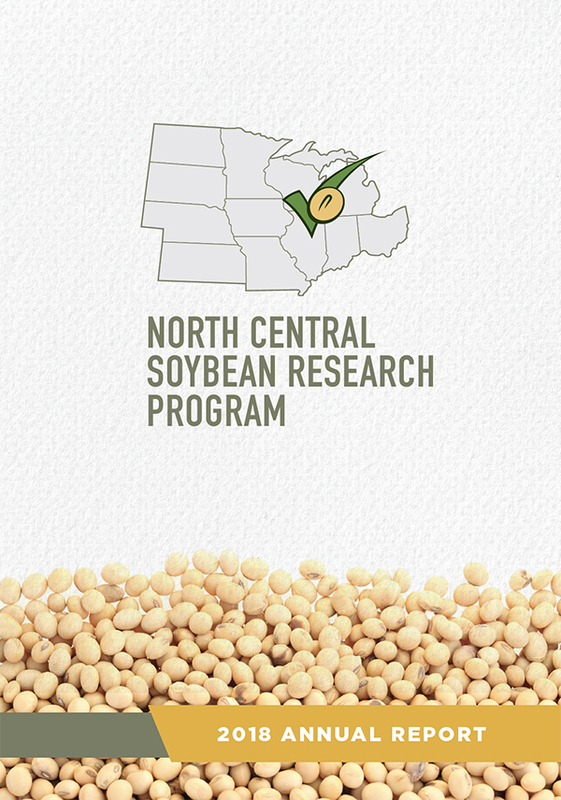 Your seed dealer may have information on potential green stem development of a specific soybean variety. Soybean plant with normal maturation (left), and plant with green stem disorder (right), which has mature brown pods but a green stem - Photo: American Phytopathological Society. Plant Disease 90: 513. 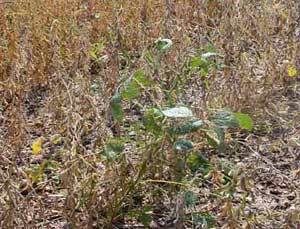 Soybean varieties differ in their sensitivity to green stem. 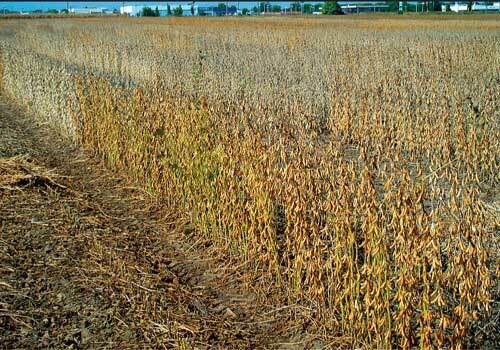 This photo shows a sensitive variety in the foreground of a University of Illinois soybean variety test - Photo: University of Illinois.